As the worlds first excavator to incorporate master/slave force feedback control technology, the Kraft HAZ-TRAK system combines the power and mobility of a conventional excavator, with the dexterity and controllability of a Kraft 7-function force feedback manipulator arm. 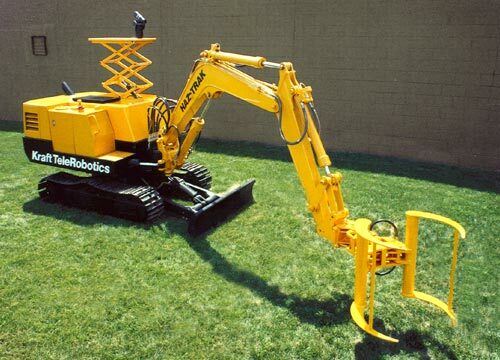 Using a single hand controller, master/slave control allows the HAZ-TRAK operator to intuitively control up to seven hydraulic functions, with one hand, as if the machine were an extension of the operator's own arm. Force feedback allows the operator to feel what's happening, and control the forces of the machine with great ease. In hazardous environments HAZ-TRAK may be operated by remote control from hundreds of meters away, while providing the operator with a level of confidence and controllability never before realized. Built as a technology demonstrator the Kraft HAZ-TRAK force feedback excavator was selected by Popular Science magazine as one of the year's 100 greatest achievements in science and technology. HAZ-TRAK pioneered the use of advanced master/slave force feedback control systems technology for the control of large hydraulically powered equipment, and paved the way for future applications of the technology. 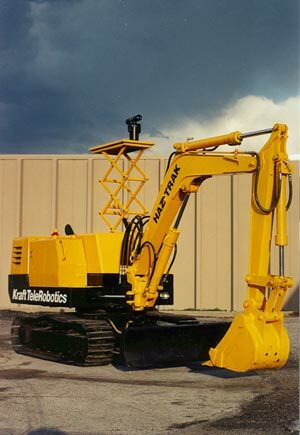 HAZ-TRAK in the conventional excavator configuration with bucket. 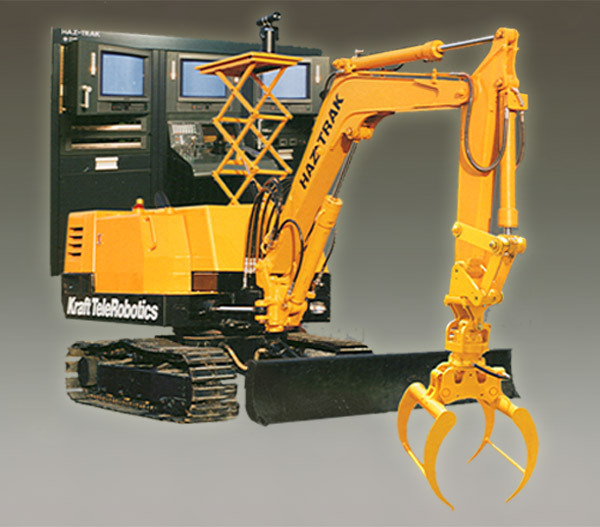 Special tools and attachments on the end of the HAZ-TRAK excavator arm demonstrated the ability of the machine to perform a variety of complex tasks. 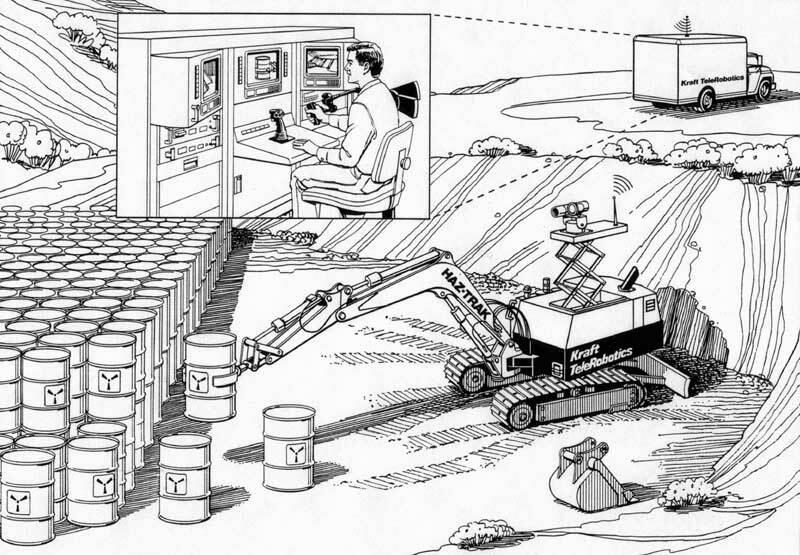 Shown is HAZ-TRAK as a material handling robot with a dexterous pitch, yaw, roll wrist and barrel handler end effector.